Teodoro M. Kalaw was a nationalist scholar, legislator, journalist, educator, and historian. He was born the third child of a prominent couple, Valerio Kalaw and Maria Manguiat, in Lipa, Batangas on March 31, 1884. His older brothers Emilio and Pedro both died in infancy. After him came Maximo, also an outstanding scholar and political scientist, and two sisters, Rosario and Manuela. His father, Valerio Kalaw, served as capitan municipal during the revolutionary period and, later, as municipal president and then, as chief of police during the early days of the American colonial occupation. Kalaw learned his first letters at the Escuela Pia, or Catholic parochial school in his hometown, where he came under the tutelage of an uncle-in-law. In 1897, he was sent to Manila to study, a journey delayed by one year because of the political turmoil caused by the activities of the Katipunan. In the previous year also occurred the martyrdom of Jose Rizal, stories of patriotism he often heard from his father. He returned to Lipa to continue his studies at the prestigious Instituto Rizal, where he first began writing by contributing poems, essays, and short stories to the student paper, La Voz de la Juventud. At the Instituto, he finished his fourth year course at the top of his class. He was then sent back to Manila, to enroll at the newly inaugurated Liceo de Manila, which became, during its time, the leading institution of learning in the country. There, he was taught by the likes of Felipe G. Calderon (“father” of the Malolos Constitution) and Fernando Ma. Guerrero, among others. An outstanding student, he shone not only in the academics, but in other activities as well, often-contributing literary pieces to the student paper, El Escolar, which was subsequently renamed La Alborada. In the summer vacation, spent in Lipa, during the early days of the American regime, he began studying the English language under American mentors. He also became a member of the Asociacion Escolar de Filipinas, the school’s organization. After acquiring his bachelor’s degree in the arts (with high honors) from the Liceo, he enrolled at the Escuela de Derecho, the earliest Philippine school of law, whose founder and director was his old teacher, Felipe G. Calderon. There, he also came under the tutelage of great mentors, such as Rafael Palma and Juan Sumulong. He obtained the degree of bachelor of laws in 1905, and topped the bar examinations that same year with a grade of 100 percent in civil law and three other subjects. He subsequently joined the teaching staff of the Escuela. In 1907, he acquired his licentiate in juridical sciences, also from the same institution, after successfully passing the requisite examinations. Following the example of his mentor Calderon, Kalaw aspired to mold his students into upright and patriotic Filipinos, instead of merely lecturing on law. He taught at the Escuela for several years. It was in 1903, while still pursuing law at the Escuela, that Kalaw began his career in journalism by working as a staff member of El Renacimiento, the organ of the Nacionalistas, a political group that advocated the immediate independence of the Philippines from the United States. At the helm of the militant newspaper were two of his mentors, Rafael Palma and Fernando Ma. Guerrero, the latter being the managing editor. In time, Kalaw developed a close friendship with Guerrero whom he, then only 23, replaced as the paper’s editor in 1907, when Guerrero was elected to the First Philippine Assembly. He took part in Guerrero’s campaign by delivering speeches and even writing a manifesto in support of Guerrero’s independence from the Gran Partido Nacionalista. As Renacimiento editor, Kalaw continued the nationalist tradition begun by his predecessors and produced acerbic editorials defending the rights of the Filipino and assailing the graft-ridden American imperialist rule in the country, even by officials in high places. He likewise zealously propagated the use of a common national language among Filipinos (one of the first to do so), the “preservation” of the Filipino way of life, and the appointment of more Filipinos to high-ranking and crucial positions in the government. In 1908, Kalaw became the secretary of Manuel L. Quezon, then the floor leader and chairman of the committee on appropriations of the First Philippine Assembly, for the duration of Quezon’s representation of the Philippines to the International Congress on navigation in St. Petersburg (later named Leningrad) in Russia. He joined Quezon in his trip to Russia, together with an American interpreter, F. Theo Rogers. Since the Congress, the reason for their trip, had ended a week before, the three decided to just tour the cities of Moscow and St. Petersburg. Afterwards, he and Quezon proceeded, initially, to Berlin, and then to Paris, before the former, on his own, returned to the Philippines in August or September of 1908. Out of his memorable trip Kalaw wrote the book, Hacia La Tierra del Zar, which he dedicated to Quezon. He returned to his work as Renacimiento editor, even as he continued teaching law at the Escuela de Derecho, having no inkling of the cause celebre into which he would be drawn as one of the “events” that would soon take prominent defendants. In October of the same year, the paper came out with “Aves de Rapiña” (Birds of Prey), the controversial editorial which opened a Pandora’s box of tribulations for him, its author Fidel Reyes, and the Paper’s publisher, Martin Ocampo. On account of this editorial, Dean C. Worcester, then the Interior Secretary and a member of the Philippine Commission lodged a libel suit against them. The case, which dragged on for several years, caused the newspaper to be closed, its equipment auctioned off to pay the damages (totaling P60,000) sought by Worcester, and he and Ocampo meted out prison sentences by Judge J. C. Jenkins (on January 19, 1910). Both the Philippine and US Supreme Courts merely affirmed the Jenkins decision when the case was raised to them on appeal. In 1914, however, Gov. Gen. F. B. Harrison pardoned Kalaw and Ocampo. In 1909, while the case was still being tried in the lower court, Kalaw decided to run during the second Philippine Assembly elections, as representative of the third district of Batangas, and won. It was a moral victory as well over his court adversary Worcester. His youth notwithstanding (at 25, he was the Assembly’s youngest member), Kalaw consistently evinced throughout his term a wisdom that was beyond his years. His statesmanship gained for him the highest esteem of his colleagues. At the Assembly, Kalaw sponsored several important bills. One supported “internal migration,” a phenomenon that resulted in the settling, and consequently, the agricultural development of various isolated provinces in the country. Another endeavored to strengthen the “territorial unity” of the country by preventing the disposition of huge areas of former friar lands to business groups or individuals. Still another sought the maintenance of public schools by allowing municipal councils to taxes intended for that purpose. During his term of office, Kalaw fell ill, resulting in the loss of his left leg later on. In 1913, when his term ended, he was designated secretary of the Assembly. He held that post until 1916, when he was named director of the National Library (where he served until 1917) and undersecretary of the Interior Department (then headed by Rafael Palma). He became the Interior Secretary himself four years later. On December 21, 1922, he cut short his term as Secretary, an act which was lamented by then Gov. Gen. Leonard Wood. The reason was that, in a letter dated December 20, 1922, Manuel L. Quezon, then chairman of the Commission on Independence, had appointed him as its executive secretary and chief adviser. Generally, his duties were to handle the propaganda and information campaign of the “Philippine cause both in the Philippines” and in the United States, publish periodicals and books supportive of the cause, and to prepare, collate, and disseminate data pertaining to the country. On August 22, 1925, as part of the staff of Senator Sergio Osmeña, who had been chosen the country’s special envoy to the US, he left the country to establish anew the Philippine Press Bureau in Washington, D.C., and to form later on a “publicity office” in Paris in order to streamline and fortify the Philippine Independence campaign. Upon his return to Manila early in 1926, he presented to the Commission on Independence his report, dated February 9, 1926, on the country’s campaign for freedom in the US. At the same time, he resigned his two positions in the Commission. He resumed his career in journalism by writing a column, “Mi Pagina Diaria,” for La Vanguardia. Later, upon the invitation of publisher Ramon Fernandez, he also wrote the editorials of the newspapers El Debate and La Opinion. Kalaw compiled some of his writings into pamphlets or books under various titles, such as La Campaña de Kuomintang, a collection of his articles on the Kuomintang, which originally appeared in La Opinion. His other works include Reformas en La Enseñanza del derecho, his first published book, written during his stint at the Escuela de Derecho; La Constitucion de Malolos (1910), which became a popular reference among political scientists; Teorias Constitucionales (1912), which was later enlarged into the edition, entitled, Manual de Ciencia Politica, published in 1918; The Constitutional Plan of the Philippine Revolution (1914); La Revolucion Filipina, whose English translation appeared in 1925. His autobiography, published in English as Aide-de-Camp to Freedom, and in Filipino as Kabalikat sa Kalayaan, earned a special award at the First Commonwealth Literary Contest in 1940. 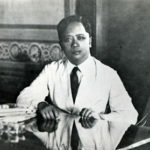 From 1929 to 1939, Kalaw served anew as director of the National Library, eventually boosting the development of Philippine historical research and writing with the publication of such writings as Ang Pinagtatalunang Akta ng Katipunan (1930), Las Cartas Politicas de Apolinario Mabini (1930); Epistolario Rizalino (1930-1937); Gregorio H. Del Pilar: Heroe de Tirad (1930), and others. The youngest ever to be elected grand master, he first became a Mason on April 8, 1907, when he joined the Nilad Lodge No. 144, which was the first native lodge to be established in the country. Although he was quite inactive during his early years as a Mason, in 1914, he gained renown with his delivery of his speech entitled, “Principios de Vida Social,” copies of which were disseminated among Masonic lodges in the Philippines, Cuba and Spain. Also in 1914, he initiated the publication of Hojas Sueltas, a Masonic journal famed for its scholarliness. Within the same year, he was elevated to the third degree of Masonry. Several months later, on February 28, 1915, he was unanimously elected grand master. He had just turned 31 years old. In 1924, he was made grand orator, and served as such yet again in the years 1926, 1927, and 1931. Meanwhile, ha had put out his Masonic Parliamentary Law and Philippine Masonry, both landmark works in the development of literature on Philippine Masonry. In 1925, he was bestowed the honorary rank of past grand master, having been only the third Mason to ever receive it. It was three years later, in 1928, that he was once again elected grand master, this time of the Grand Lodge of the Philippine Islands. Finally on June 15, 1932, he was made a 330 Mason in the Scottish Rite of Masonry. 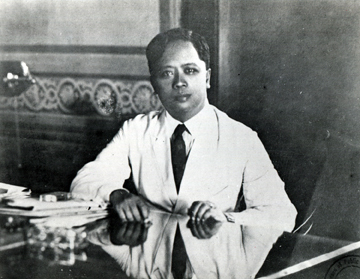 Highly respected for his analytical and probing intelligence, Kalaw was also a member of various scholarly organizations, including the Academy of Political Science; American Social and Political Science; Sociedad Americana de Derecho Internacional; Real Academia HispanoAmericano de Ciencias y Artes, of whose Philippine Section he became president in 1925; Associacion Hispano-Filipina, and the Philippine Library Association, serving as president of the latter two. After he retired from public service in 1939, he completed his memoirs. On December 4, 1940, he died at the Philippine General Hospital, leaving behind not only his wife Pura Villanueva and four children, but also a legacy of nationalism, courage, and sacrifice. In 1959, a historical marker in his honor was installed in his beloved Lipa City. About the diary: The diary entries here appeared as excerpts in his autobiography, Aide-de-Camp to Freedom (translated from the Spanish by Maria Kalaw Katigbak), Teodoro M. Kalaw Society, 1965. Used with permission from the late Senator Maria Kalaw Katigbak. Was Camp Kalaw (now Monkayo) in Davao Province named for Teodoro Kalaw and if so why?